Usually farming can be a bit tedious, but big mobs and fast respawns make it so much more fun. Not to mention you get all kinds of cool loot and not just Stonehide Leather! In this sample session I made way over a thousand gold in a couple of minutes, and that's just the raw mats that can be turned into even more gold! Most mobs that can be skinned for Stonehide Leather spawn very fast and come in large packs! There's a ton of places where you can farm Stonehide (Basically all non-scaly beasts provide it), but I have 2 favourite places myself, that I recommend you to check out if you haven't yet. Sadly both of these often have a world quest associated with them, so often you do run into other players. But majority does not have skinning, so you can usually just fly around and skin the corpses others have left behind - if they are thoughtful enough to loot the corpses! Like usually, outdoor farming should generally be avoided during peak times. So early morning or night farming is the best! 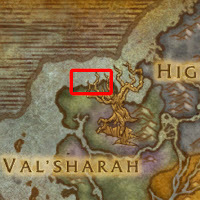 Assuming there's no other people around, circling around one of these locations for a few minutes to clear them up usually gives a few hundred Stonehide Leather, many Oddly-Shaped Stomachs, some Blood of Sargeras, lots of Wildfowl Eggs, lots of Unbroken Claws and usually at least one loot bag if you have a shoulder enchant. You can also obtain meat from skinning if you have unlocked the skinning perk for that, which I haven't. 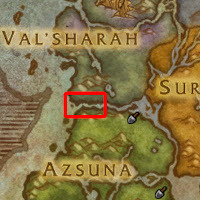 These mobs also respawn super fast, so by the time you have cleared all, more have spawned. Sometimes it takes longer, and sometimes more spawn on the same spot before you've even had the time to skin them all. Best of all, you don't even need to level skinning to be able to use it here. Even if you just learned it and have it at skill 1, you can still use this method. To maximize the amount of loot you get, you should upgrade your skinning perks. Improve your loot even more! Skinning has quite a few perks or enchantments that you can unlock or improve to get even more out of the profession. Stonehide Leather = Upgrading this perk should be your first priority. At rank 2 you often get Blood of Sargeras while skinning and at Rank 3 even more leather. Legion Gutting = This perk allows you to sometimes get an Oddly-Shaped Stomach while skinning. These can contain nothing at all, or precious gems, enchant mats, leather, ore and all kinds of other goodies. Very much recommended! Legion Butchery = This allows you to get meat while skinning. Some meat types sell pretty good, but it's worth even more if you cook it first, provided you have that specific meal at Rank 3. Enchant Gloves - Legion Skinning = This is soo useful! Boosts skinning speed significantly, saving a lot of time. Very cheap as well! Boon of the Bloodhunter = Any shoulder enchant can be good, but I prefer the bloodhunter enchant from The Wardens, as that often gives multiple Blood of Sargeras from a single bag. Even if you don't need more Bloods, you can just trade them to whatever is valuable instead of getting random things. Speaking of bloodhunting, here's a handy tip for alts! Enchant a heirloom piece with the bloodhunter and send it to an alt, so that alt can get tons of Bloods while leveling in Broken Isles. Addon recommendation: Leatrix Plus! This handy addon offers lots of useful options, one of them being faster looting. This allows you to skin faster as well, as you spend less time looting each corpse. 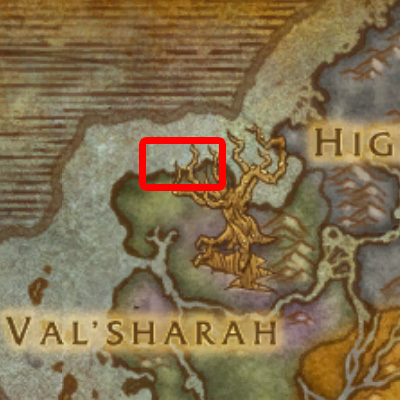 Some of them are very hard to get, though, like the Skinning Technique: Legion Butchery, which drops from the world boss Humongris, which so far I have never seen spawning. What to do with all the leather? Personally I prefer to turn the leather into Warhide Bindings, and then disenchant them. Each disenchants into a Leylight Shard and sometimes into a Chaos Crystal. Most of the Leylight Shards I tend to turn into Arkhana with Ley Shatter. Those I then spend by making Cloak Binding enchants at Rank 3 to make the most out of them. Ring Binding enchants are also profitable and do not require Blood of Sargeras, if you are running low on them. Legion Glove enchantments are also a good way to spend those Leylight Shards.